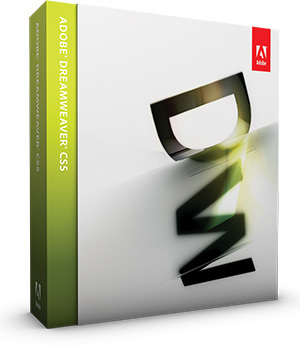 Dreamweaver CS5.5 Now Available For Instant Download! Adobe® Dreamweaver® CS5 empowers designers and developers to build standards-based websites with confidence using the industry-leading web authoring tool. Work visually or directly in code, develop with your existing content management system like WordPress, Joomla!, or Drupal, and design productively with CSS inspection tools and improved Live View functions. Simplify advanced website develop­ment with integrated support for Subversion® and custom PHP code hinting. Get fast and accurate browser-compatibility testing, and test dynamic content thanks to integration with Adobe BrowserLab, a new Adobe CS Live online service*. Integrated content management system support – Enjoy authoring and testing support for your existing content manage­ment system frameworks like WordPress, Joomla!, and Drupal. Dynamically Related Files provides direct access to a page’s related files, even for dynamic pages, and Live View Navigation offers accurate previews of dynamic applications. CSS inspection – Visually display the CSS box model in detail without reading code or requiring separate utilities. Hover your cursor over block-level elements in Live View to see their cascade and context, instead of using the Tag Selector. Integration with Adobe BrowserLab* – Preview dynamic web pages and local content with multiple viewing, diagnostic, and comparison tools through integration with Adobe Browserlab, a new Adobe CS Live online service* that quickly and accurately tests web content across web browsers and operating systems. CSS properties toggle – Quickly and easily disable and re-enable CSS properties directly from the CSS Styles panel. Reduce the need to manually edit CSS code, whether inline, in the document head, or in an external style sheet. Enhanced support for Subversion – Manage site files more effectively in collaborative, version-controlled environments with enhanced support for Subversion software. Move, copy, and delete files locally as you would a static website, and then synchronize changes with your remote SVN repository. Site-specific code hinting – Benefit from code hinting on nonstandard files and directories in CS5, enabling enhanced hinting support for your existing third-party PHP libraries and content management system frameworks such as WordPress, Drupal, and Joomla!. Enhanced CSS starter pages – Jump-start your standards-based site design with updated and simplified CSS Starter Layouts. With a wider selection to choose from, the new tem­plates incorporate evolving CSS best practices and easy-to-understand selectors and rules. FLV video content integration – Add Flash Video files to your web pages with point-and-click ease and standards-compliant coding. Preview your movies with FLV playback capabilities in Live View. Simple site setup – Set up a site in fewer steps with the retooled Site Definition dialog box in Dreamweaver CS5. Add multiple servers with custom names to utilize staged, networked, or other site types. Integration with Business Catalyst® – Leverage integration between Dreamweaver and the new Adobe Business Catalyst online service (available separately) to deliver powerful online businesses without programming. Extended Dreamweaver community – Learn and share with an extensive Dreamweaver community. Benefit from the online Adobe Design Center and Adobe Developer Connection, training and seminars, developer certification programs, and user forums.